In the future, maybe everyone will eat a Whopper for 15 minutes. Or at least 45 seconds. "I still remember the first time I watched the complete length of the film of Andy Warhol eating a Burger King Whopper, and my head exploded," says Fernando Machado, Burger King's global chief marketing officer. "I was like, 'Is that really Andy Warhol; why is he eating that? What's happening there?'" A few years later, an advertising dream of Machado's has come true. Burger King, with the help of agency David Miami, got the rights to use footage of Warhol from "Andy Warhol Eating a Hamburger," directed by JØrgen Leth, in its Super Bowl spot. The full scene originally appeared in Leth's 1982 film "66 Scenes from America." 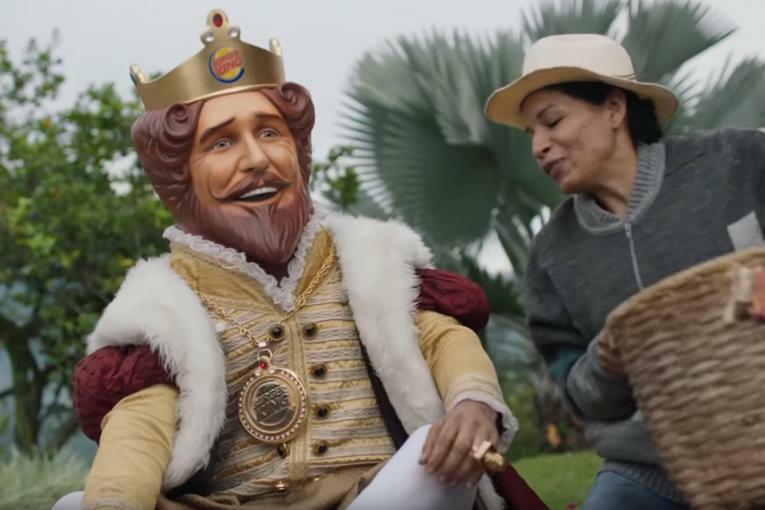 "One of the things that was unique about the negotiation was that we didn't want to change or touch the film in any way that would take away from its original intent," says Marcelo Pascoa, Burger King's global head of brand marketing. "We knew that the best thing we could do would be to keep the film as intact as we could." As for that intent: Himself an emigrant, Leth had said at the time that he liked the idea of the hamburger as the great social equalizer in America. People, regardless of their socio-economic status, can enjoy them. In a wild Super Bowl coincidence, Coca-Cola's pre-game ad is called "A Coke Is a Coke," an allusion to a Warhol quote (itself a Gertrude Stein reference). "A Coke is a Coke and no amount of money can get you a better Coke than the one the bum on the corner is drinking," Warhol once wrote, though the full quote is not in the ad. "You can be watching TV and see Coca-Cola, and you know that the President drinks Coke, Liz Taylor drinks Coke, and just think, you can drink Coke, too." Millennial Super Bowl viewers may not catch the reference, but they certainly know the current president's go-to beverage. It's 2019, and it turns out we're all just living in Warhol's America—celebrity obsessions, hucksters, hangers-on and all. Ascribe your own meaning. Have it your way! 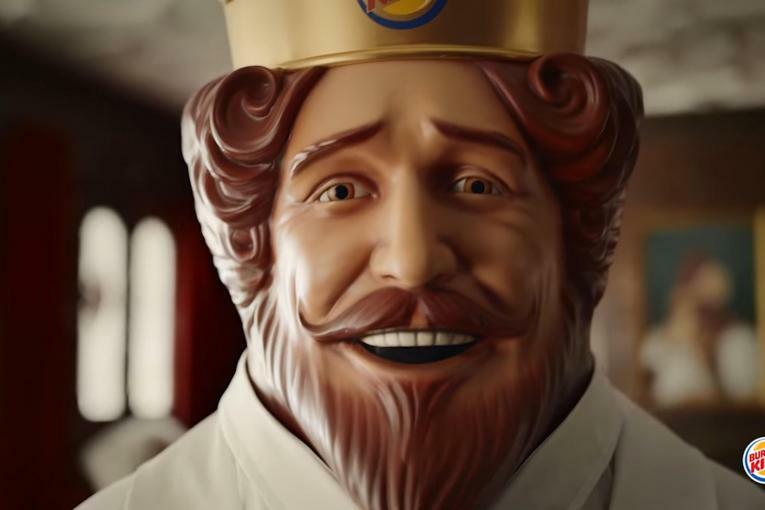 Still, there's no way Burger King could run a film that runs nearly four-and-a-half minutes as a commercial. "I wish we could put four minutes and 20 seconds in the Super Bowl, but that would probably get us all fired, because we would be paying for it for 10 years to come," Pascoa jokes, alluding to the high price of in-game ads. After getting approval from Warhol's foundation and those connected to Leth, including the director's son, the brand and agency picked a 45-second clip to run as a Super Bowl commercial. Burger King is also showing the full-length video online. "We want people to have that experience as well because it's truly something to watch from beginning to end with that uncomfortable silence, to see the full film," says Pascoa. Much of the excitement that comes from viewing the full film is in waiting to see what Warhol will do before, during and after he eats. Seconds, then minutes, tick by. At one point, there's what counts as an action sequence when Warhol removes half of the bun, folds the burger and keeps eating. He crumples the remains into the wrapper, puts it into the box and the bag, then sits for about 45 seconds before uttering the longest sentence in the whole performance: "My name is Andy Warhol, and I just finished eating a hamburger." Warhol literally eats his Whopper his way, without toppings other than ketchup, leaning into the chain's longtime slogan. "It's one of those assets that it's almost unbelievable that you have as a brand," says Machado. While spending details weren't disclosed, layers of financial approval were required. "The people who work on this brand understand that it needs to behave differently. And when we show something that's obviously different, they get it and they understand that it has a bigger chance of succeeding than just doing a recipe, or a cookie-cutter approach that some other brands could do. We got massive support internally for this campaign," says Machado. José Cil, Burger King's president since 2014 who was promoted to CEO of parent company Restaurant Brands International in late January, was on board. "He was one of the most enthusiastic people about the campaign," says Machado. Even franchisees, who can be "a tough audience," he adds, "loved it." The film has flown largely under the radar beyond art circles (it's currently part of the Whitney Museum of Art's Warhol retrospective), though plenty of people have had their own fun with it. Actor Macaulay Culkin mimicked the film in 2013, substituting a slice of pizza for the Whopper. And Iggy Pop recreated the scene for a Death Valley Girls music video. 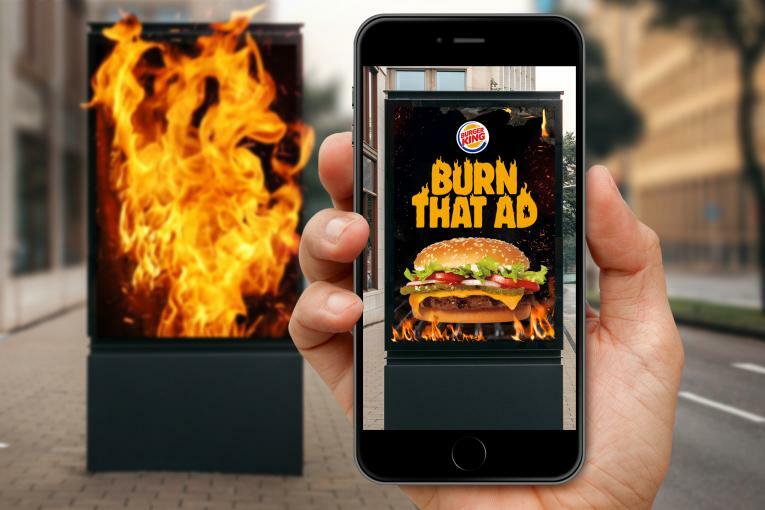 The idea will undoubtedly generate buzz for Burger King, the marketing of which includes stunts such as Google Home of the Whopper (a commercial that triggered the smart speakers of TV audiences at home) and selling Whoppers for a penny (only if ordered on Burger King's mobile app while in or near a McDonald's). McDonald's CEO Steve Easterbrook last week said is becoming "an increasingly competitive market-share fight." Restaurant Brands International's preliminary results show that Burger King's U.S. same-store sales rose 1.4 percent in 2018, less impressive than the 2.5 percent growth posted in 2017. Meanwhile, McDonald's sales growth also slowed a bit, but continued to outpace the Home of the Whopper. The Golden Arches' U.S. sales rose 2.5 percent last year on top of a 3.6 percent jump in 2017. As for Warhol, who died in 1987, it's somewhat fitting to see the pop-art icon in a Super Bowl commercial. He worked on Madison Avenue as an illustrator for companies including CBS, which aired this year's Super Bowl, and went on to create works of art featuring brands such as Campbell's Soup and Coca-Cola. Charlatan? Genius? Both? If he were alive, he'd probably make a silk-screen print of the King to hang next to Marilyn Monroe. "We believe that it's kind of cool that he did a lot of art that looked like advertising and that we are using his art to advertise," says Machado. "It's like a silent assassin in the clutter of the Super Bowl."